Four in five Asians have watched online video content in the past month. 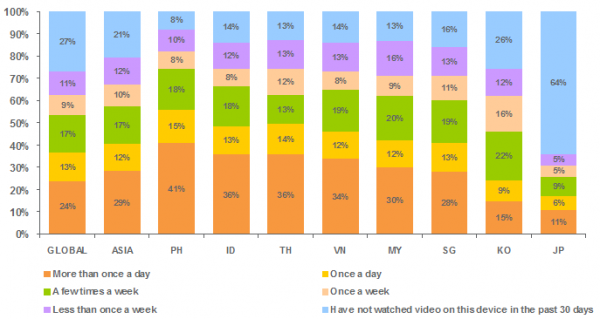 More than two in five Asian consumers watch videos online on a daily basis. 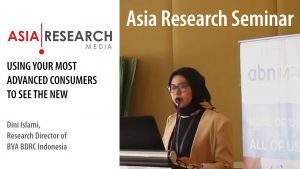 The number of consumers in Asia viewing online videos is strong and on the rise, fuelled by increasing technology ownership and demand for anywhere, anytime delivery of media content, according to a new study released today by Nielsen, a leading global provider of information and insights into what consumers watch and buy. 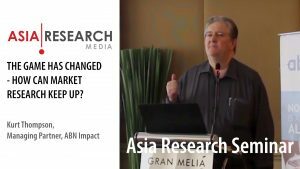 The Nielsen Global Multi-Screen Report, which studied the media habits of online consumers both in Asia and globally, found that as many as four in five (80%) Asian consumers viewed online videos in the past month, up five points since 2010 and six points higher than the global average of 74 percent. 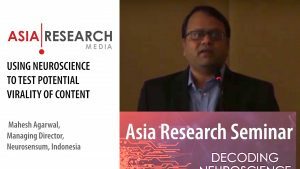 The frequency with which Asian netizens access videos online is also increasing according to the Nielsen report; 68 percent reported to view online videos at least once a week, up from 63 percent in 2010, whilst The Philippines is the most prdontevalent Asian country for frequent video consumption with 82 percent of online consumers viewing video content at least once per week. See chart 1. Despite the ground swell in online video usage, many advertisers struggle to connect with consumers via online video advertising campaigns, according to Nielsen. The Company found that trust in messages delivered via online video advertisements was low across Asia – just 33 percent of Asian digital consumers trusted online video ads. Online video advertising messages also appeared to be missing the mark in Asia, with just 36 percent saying the messages delivered via online video advertisements held relevance when they were searching for product information.